Thirty years ago, on August 24, 1984, Sergeant Christopher Eney was taking part in a Community Emergency Response Team (CERT) training exercise when he was accidentally shot and killed by his partner. He was the first line of duty fatality for the US Capitol Police. He was 37 years old and had served with the department for more than 12 years. In 2009, on the 25th Anniversary of his death, a wreath laying ceremony was conducted at the National Law Enforcement Officers Memorial in Washington, DC, where his name is carved on the First Panel on the eighth line on the Western Wall. This quote could easily apply to how Chris Eney lived his life. Sergeant Eney served as a medic in the US Army with the Green Berets. He then served with the House Plainclothes Division of the US Capitol Police and the CERT team in Washington DC. He advanced to the position of supervisor and quickly garnered a reputation of being one the best supervisors on the department. 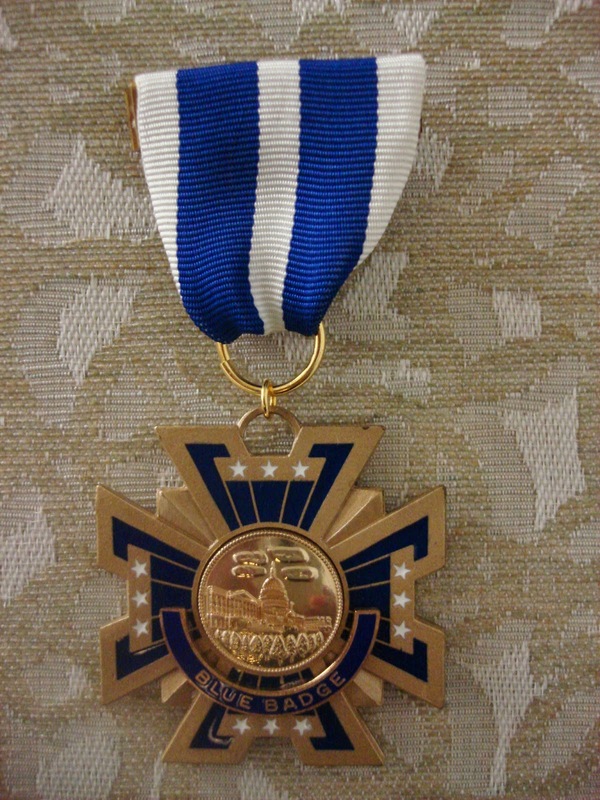 Jack DeWolfe, a co-worker of Sergeant Eney’s at the USCP, described Chris was always working tirelessly and “always striv[ing] to get the best out of his team members each day.” He acted as a role model for his superiors and never asked anyone to do something that he wouldn’t do himself. Despite the tragedy of his untimely death, Sergeant Eney’s concern for others and his love of life was carried on by his family. During his funeral, his widow and two daughters were more concerned about his co-workers, which was extremely surprising the co-workers since they were expecting to comfort the family, rather than to be comforted themselves. Sergeant Eney was posthumously honored with the USCP Blue Badge Medal in recognition of his courage, dedication, and sacrifice. 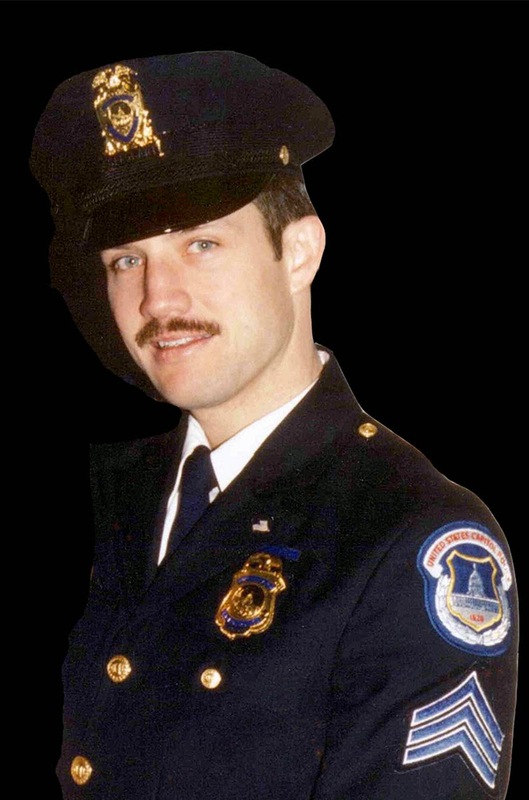 In addition, the Chamber Training Venue within the Capitol Police’s Practical Applications Center in Cheltenham, MD was named after Sergeant Eney following the 25th anniversary of his death. 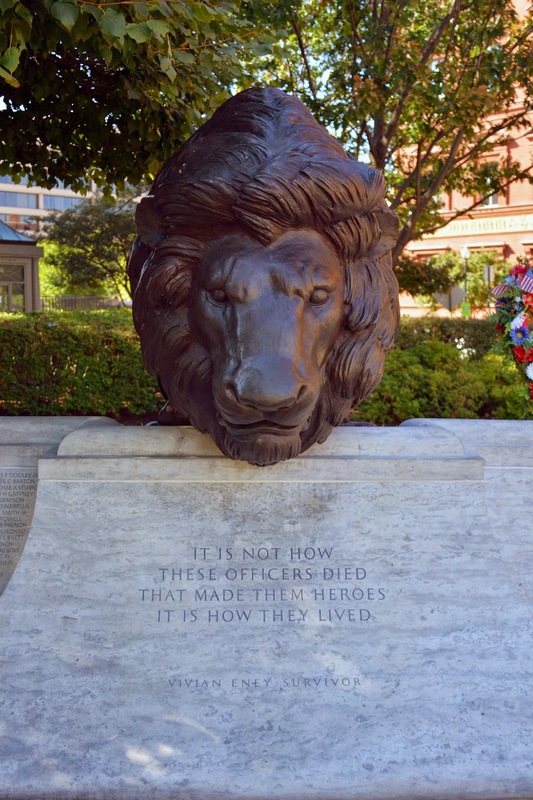 As we remember 30th anniversary of Sergeant Eney’s death, it is more important than ever to acknowledge the service and sacrifice that he and all other fallen officers have made. Sergeant Eney’s spirit is carried on today in Vivian Eney Cross’s work as an advocate, and in the memories of his friends and coworkers. According to our preliminary data, 67 law enforcement officers were killed in the line of duty during the first half of 2014—25 of which were a result of firearms-related incidents. Craig W. Floyd, the CEO of the Memorial Fund, declared, "The sharp rise in officers killed by gunfire—many in ambush-style attacks—as well as a significant increase in fatal on-duty heart attacks reminds us that much more work needs to be done to improve officer safety and wellness." And a great deal of that work is being done by the Bureau of Justice Assistance. Through the VALOR program, BJA has trained over 15,000 officers across the country to recognize and respond to ambush-style attacks and other intentional assaults on officers. These free nationwide trainings have helped prepare officers for developing dangers in the field. In partnership with the Memorial Fund, the VALOR program issued the following training recommendations based on our preliminary data. Ambush attacks on officers continue to be a leading cause of felonious death among officers and these attacks can occur at any time. Routine activities such as completing reports, mapping an address to a call or talking to a complainant can turn deadly if officers are not constantly practicing situational awareness. Be on guard at all times. As the most visible sign of government, law enforcement officers are often targeted by anti-government groups. Review your training on the tactics used by these extremists groups so you can remain vigilant and stay safe. 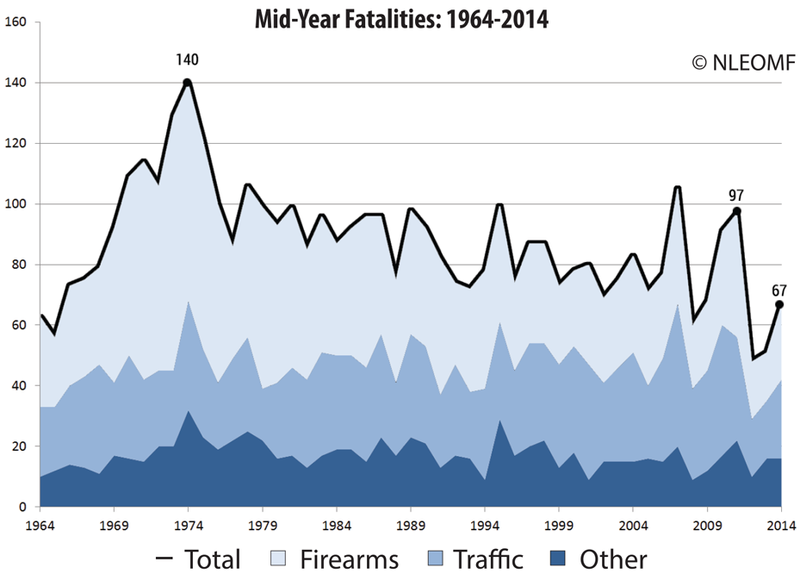 Investigating suspicious persons and circumstances was the leading cause of firearms-related fatalities in the first half of this year. When responding to these types of calls make sure you have proper back-up and never take a suspicious activity call casually. National Anthem and pre-game ceremony. 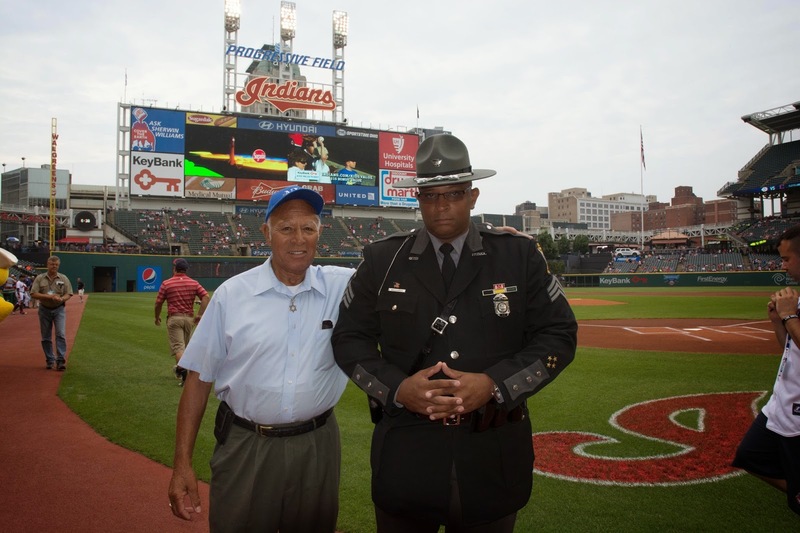 On Tuesday, August 5th the Cleveland Indians and the National Law Enforcement Officers Memorial Fund held a special Law Enforcement Appreciation Night at Progressive Field as the Indians completed a two-game series with the Cincinnati Reds. Unfortunately the Indians lost 9-2 at the game, but it was still a great night of baseball. 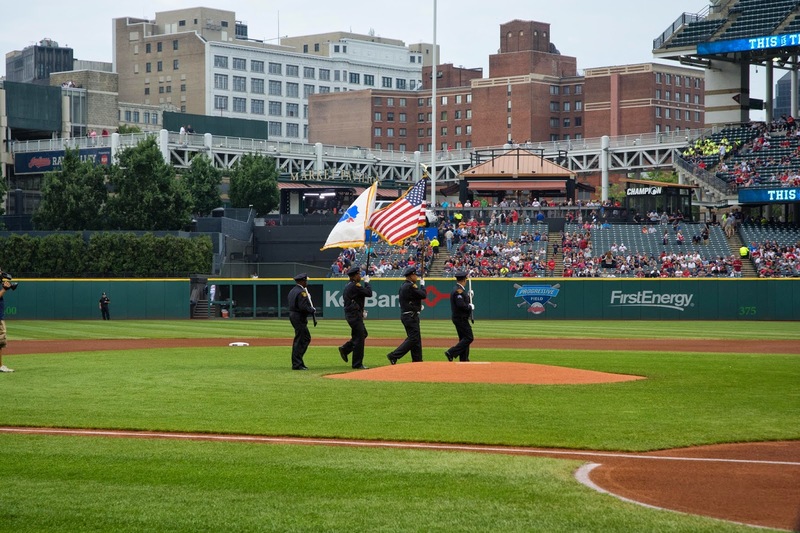 The event, in its third season at Progressive Field, was dedicated to honoring the service and sacrifice of all law enforcement and correctional officers and their families. 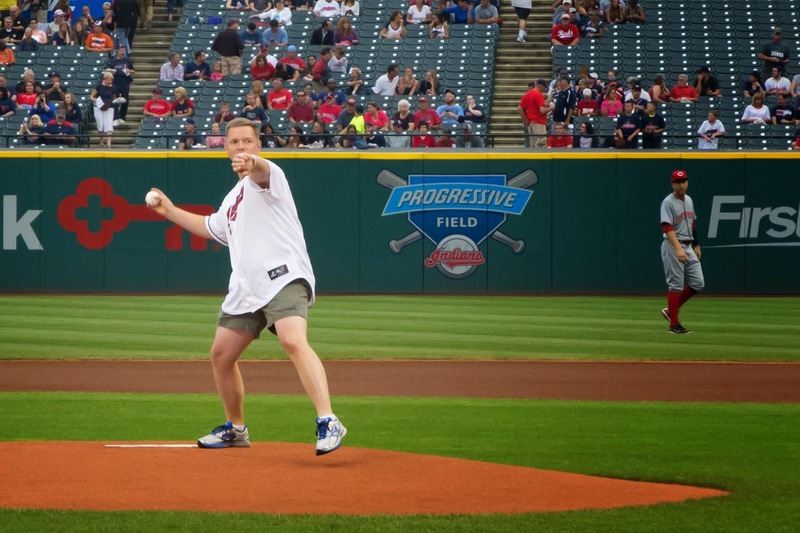 Columbus Ohio Division of Police throws out the ceremonial first pitch. A special Thanks to Ohio Association of Chiefs Police, Ohio Fraternal Order of Police‎ and Cleveland Police Historical Society for supporting the event, along with Cleveland Indians account representative Matt Gay and NLEOMF Ambassadors Alex, Behnen, Bill Swank, Brent Clark for organizing the event. on the field just prior to singing the National Anthem.